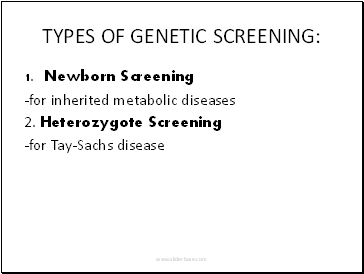 Aimed at identifying a subset of the population on whom further. 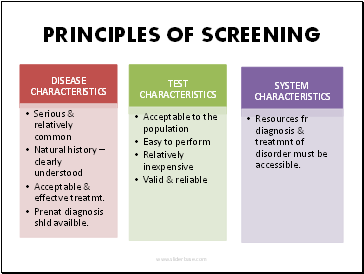 Are not intended to provide definitive diagnoses. 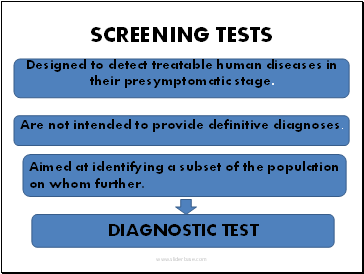 Designed to detect treatable human diseases in their presymptomatic stage. 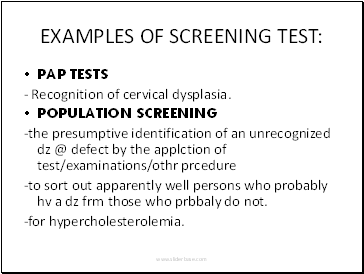 - Recognition of cervical dysplasia. -to sort out apparently well persons who probably hv a dz frm those who prbbaly do not. One of the fastest moving fields in medical science. 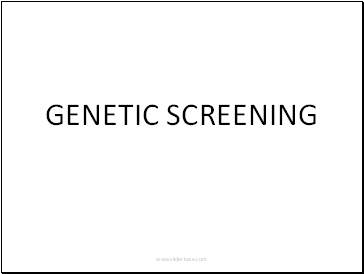 A technique to determine the genotype or phenotype of an organism. 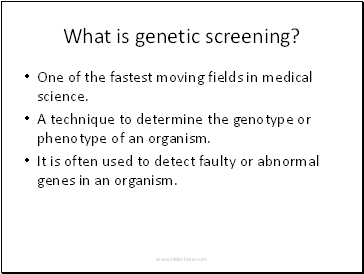 It is often used to detect faulty or abnormal genes in an organism. 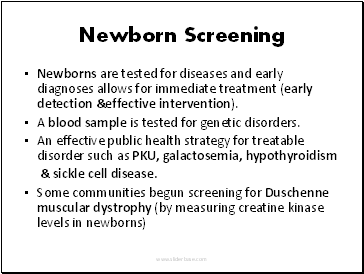 Newborns are tested for diseases and early diagnoses allows for immediate treatment (early detection &effective intervention). 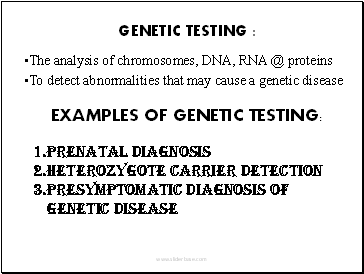 A blood sample is tested for genetic disorders. Target population: group known to be at risk. 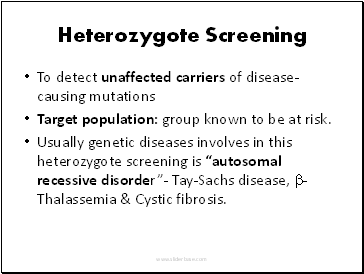 Usually genetic diseases involves in this heterozygote screening is “autosomal recessive disorder”- Tay-Sachs disease, -Thalassemia & Cystic fibrosis.